The launch of Multilateral trading facilitys (MTFs) and Alternative trading systems (ATSs) have dampened the status of stock exchanges as the once monopolised market opens up to competition. Brazil the largest equity market in LATAM is expecting a competitor to the BM&F BOVESPA, Brazil’s main trading bourse. The venture, ATS Brasil, was first announced in November 2012 when details of the formation of the local Brazilian company were discussed by the firms behind the new exchange, ATG and NYSE Euronext. The duet announced that a formal request was served to the regulator, the notice includes provisions for the admission of new liquidity providers to the joint venture. Latin America’s largest public securities-trading market and the worlds sixth largest derivatives exchange (according to the FIA survey 2012), Brasil’s BM&F BOVESPA will feel threatened by the formation of a new trading venue. Current average daily trade volumes in the equity markets range between US$3 billion and $4 billion. The five year old exchange is right to feel concerned about another trading venue taking its market share. In Spain, the main stock exchange has been seeing sharp declines in volumes as competitor Chi-X (an MTF) is gradually building its base, Chi-X Spain now holds 15% of the equity market share, in 2012 it held 5%. ATS Brasil not only intends to reduce costs but also make Brazilian markets more friendly for overseas investors. In order to meet local requirements set by the authorities, NYSE Technologies, the technology specialist in the deal, has already completed the customization of the core trading technology for ATS Brasil and is now testing the platform functionality and global connectivity capabilities. The new initiative will be using NYSE Euronext’s technology, the Universal Trading Platform (UTP), a tried and tested platform that trades, equities and derivatives. “Now in the testing phase for ATS Brasil, the Universal Trading Platform has been optimized to meet the specific needs of the Brazilian marketplace, its market participants and future global customers. This proven trading technology will provide a high quality trading experience with exceptional performance and reliability, which are key features of NYSE Euronext’s trading platforms trusted by firms around the world. 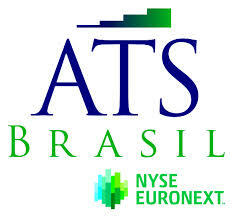 We believe that ATS Brasil will be well received by Brazilian market participants and will offer more choice, liquidity and global access to customers trading in Brazil,” said Martin Koopman, Senior Vice President, NYSE Euronext and ATS Brasil Board Director in the official press briefing. The new exchange, ATS Brasil, is expected to begin operations in 2014, pending the approval of Brazilian regulatory authorities. The multi-asset platform, MT5 was formally integrated with Brazil’s main stock exchange last September.